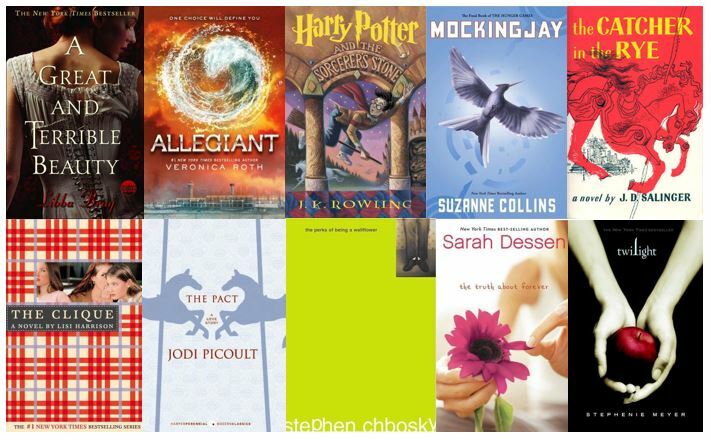 This entry was posted in Top Ten Tuesday and tagged A Great and Terrible Beauty, Allegiant, Books to ReRead, Harry Potter, Mockingjay, reread, The Catcher in the Rye, The Clique, The Pact, The Perks of Being a Wallflower, The Truth about Forever, Top Ten Tuesday, Twilight. Bookmark the permalink. ← …and so a book blog was born.